People who need treatment for orthopedic injuries and conditions will soon have a new and improved place to go in South Florida. The Miami HEAT Sports Medicine Center at Miami Orthopedics & Sports Medicine Institute broke ground today at a special event held at Doctors Hospital in Coral Gables, Fla. Scheduled to open in summer 2019 in a four-story facility adjacent to the hospital, The Miami HEAT Sports Medicine Center will house all of the Institute’s orthopedic specialties, including adult and pediatric orthopedic treatment, surgery, rehabilitation, hip- and knee-replacements, orthopedic trauma and athletic training. An outpatient surgery center will be located on the top floor. 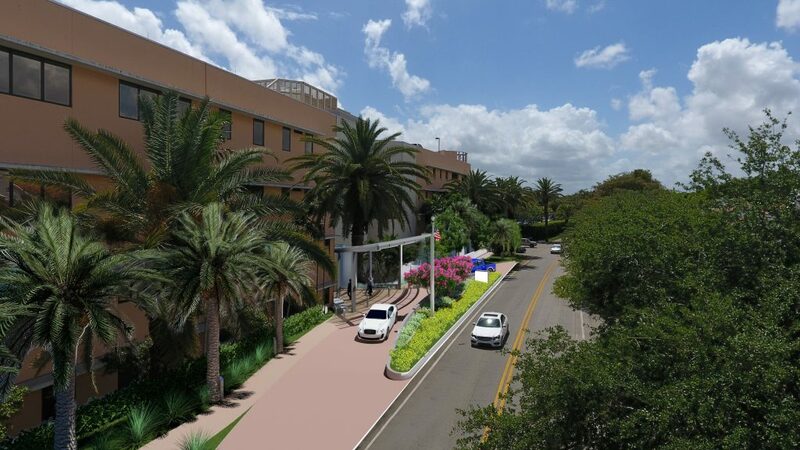 “This unparalleled partnership will make an incredible difference in the future of our Institute and in the expert care provided to our patients and the community,” said Nelson Lazo, chief executive officer of Doctors Hospital and Miami Orthopedics & Sports Medicine Institute, both part of Baptist Health South Florida. The multi-year partnership is the first of its kind for the two organizations. Both are known for promoting wellness and prevention in the South Florida community. The Institute has served the Miami HEAT, among many other athletic organizations, for more than 30 years. “This relationship is about the future and what’s going on in the present moment and will be something the HEAT and Baptist Health will be doing for years,” said Pat Riley, president of the Miami HEAT. In addition to serving as a hub for orthopedic care, Miami Orthopedics & Sports Medicine Institute serves as a clinical trial site for new orthopedic surgery techniques, novel implants, genetically-engineered cartilage and bone and revolutionary biologics. The Baptist Health South Florida News Team was at the groundbreaking event to capture the exciting announcement. Watch the video now.